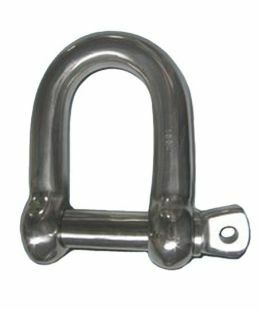 Bolt type safety anchor shackles can be used in applications where round pin or screw pin shackles are used. 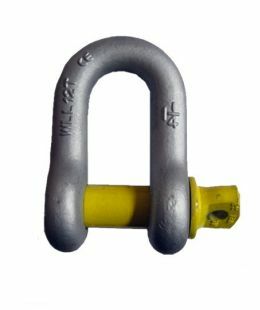 However, a bolt type shackle is a better choice in permanent or long-term applications, or if there's a risk of a load sliding on the shackle pin, causing it to rotate. 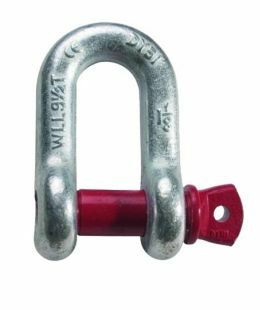 • Material: Alloy Steel, Carbon steel. • Finishing: Hot Dip Galvanized, Eletrico-Galvanized, or Self-colored. • Heat treated: Tempered and Quenched. 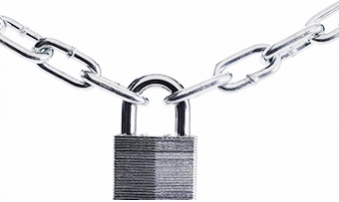 • Maximum Proof Load is 2.0 times the Working Load Limit. 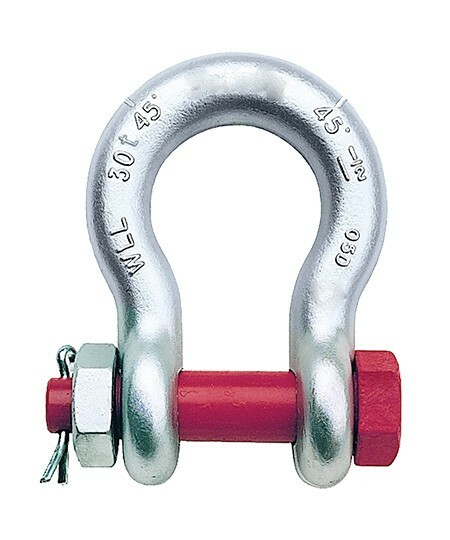 • Minimun Ultimate Strength:4 or 6 Times The Working Load Limit. 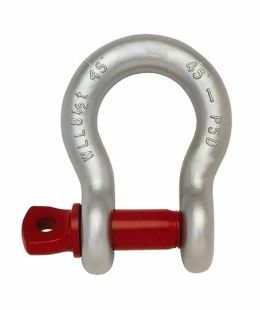 • Marking: As per customers'requirement.